GERMANY: Innogy more than doubled its investment in renewables in the first nine months of the year, with the 860MW Triton Knoll wind farm one of the main recipients. It spent €521 million on clean energy projects between 1 January and 30 September, its financial results revealed. The developer added that this was primarily due to spending on the Triton Knoll project off the coast of the UK and its Limondale solar PV plant in Australia. Innogy also sold a 41% stake in Triton Knoll to Japanese utilities in August. The developer also blamed "particularly low" wind levels in the UK and Germany as its nine-month renewables earnings fell year on year. Its adjusted earnings before interest, tax, depreciation and amortisation (Ebitda) for the first nine months of 2018 fell 2.7% from the same period last year to €418 million. The developer’s total renewable capacity inched up from 3,487MW at the end of 2017 to 3,565MW by the end of September 2018. This small increase was reflected in its power generation figures, as renewables produced 6.2TWh between 1 January and 30 September in 2017, and 6.3TWh this year. However, Innogy explained that "particularly low wind levels, especially in the second and third quarters of 2018 in the UK and Germany, led to reduced utilisation of existing plants". 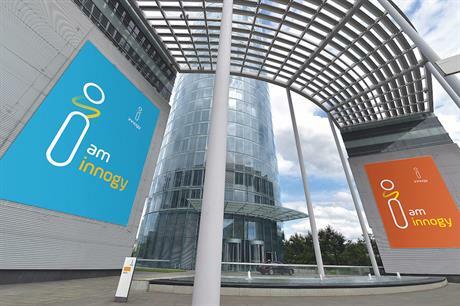 Innogy and its parent company RWE have stakes in 2.4GW and 970MW of operational wind power capacity in the UK and Germany respectively, according to Windpower Intelligence, the research and data division of Windpower Monthly. Meanwhile, its external revenue for the first nine months of the year grew just 1.46% from €893 million to €906 million. The proposed asset and shares swap deal with E.on, agreed in March, is "proceeding according to plan" and the three companies are currently preparing for the merger control procedures of the European Commission. It expects competition clearance of the deal by the summer of 2019, with the completion of the entire transaction to follow shortly thereafter. E.on’s earnings from renewables, meanwhile, increased in the first nine months of the year due to newly commissioned wind farms, it stated. Its renewables segment made €1.21 billion in revenue between 1 January and 30 September, up 7% from the same period in 2017. The utility-developer’s earnings before interest, tax, depreciation and amortisation (Ebitda) also grew to €534 million, a 5% year-on-year increase. It stated that this was because newly commissioned onshore and offshore wind farms increased its overall output, but did not provide a production figure. E.on’s revenue from onshore wind and solar increased 18% year on year to €813 million, as it commissioned the 228MW Bruenning’s Breeze project in Texas, US, and the 306MW Radford’s Run site in Illinois. Offshore, it commissioned the 400MW Rampion wind farm off the coast of the UK, but its revenue decreased 9% to €400 million. It did not give a reason for this decline.